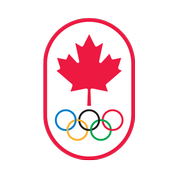 The 2011 Canadian speed calendar of events is continuing to take shape. Do new exercise guidelines send the right message? The big picture is quite clear: Canadians need to move a lot more and sit a lot less. It’s the details that have caused some confusion. While the new exercise guidelines released Monday are straightforward, the rationale is leaving some people scratching their heads. That’s because while the message is to exercise more often and more intensely, the recommended minimum levels of physical activity for children and adults have been reduced — from 90 minutes to an hour a day for kids and teens, and from an hour a day to 150 minutes a week for adults. Read more: Do new exercise guidelines send the right message? Charlotte Freeman, a multiple World Team members who represented Canada at the World Roller Speed Skating Championships in the late 80’s was injured in a fire at her home in BC.